We all know that maintenance is an important part of car ownership. Unfortunately, many of us neglect it—often because we don’t realize how important such maintenance is. 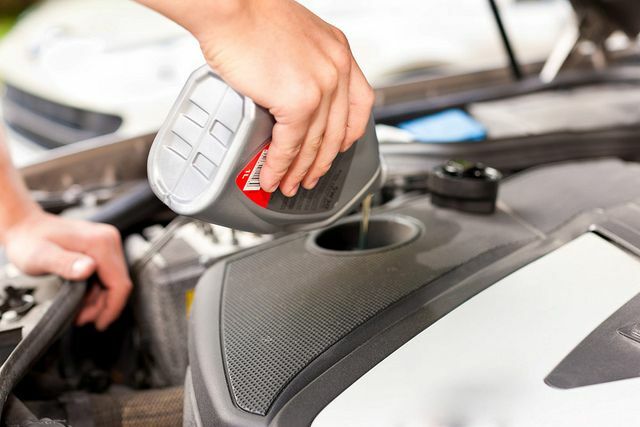 To shed some light, here are five reasons why your car needs an oil change.
. One job the oil does is help keep your engine clean. It will collect any dirt and debris that gathers there. However, over time, this causes your oil to break down and turn into sludge. Regular oil changes prevent this from happening.
. All the moving parts in your engine create a lot of heat. The oil helps maintain a safe operating temperature by drawing out some of the heat.
. As the metal pieces in the engine move, they create friction. To prevent them from seizing up, they need to be lubricated with oil. By following the recommended oil change schedule in your owner’s manual, you can help ensure a long life for your car. Whenever you go too long between oil changes, it can rob your car of some of its potential life. A dirty engine has to work harder, which causes it to run inefficiently. If you have fallen behind on your car’s maintenance, schedule an appointment here at Rivard Buick GMC to get caught up. This entry was posted in Car care Tips, Car Tips, Safety Tips and tagged Advice, car care, Help, Oil Change, Rivard Buick GMC, Service, Tampa Florida, Tips. Bookmark the permalink.